VISIT DENVER employs a team of specialists in its Tourism Department who can provide you with information and assistance, free of charge, as you plan your trip that requires more than 10 room nights in hotels. From girlfriend getaways, mancations, and student travel, to church groups and bar mitzvahs, small leisure groups will find a multitude of tools online, and/or through the team of experts in the tourism office, that are designed to save you time and money. Let us send your request to or hotel and venue partners on your behalf. 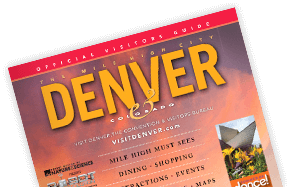 Free visitor guides, dining guides, maps and more. Access a list of service vendors for your Denver event.